Happy Monday! Hope everyone's weekend was a good one. The weekends seem to be filling up fast and this weekend was no exception. 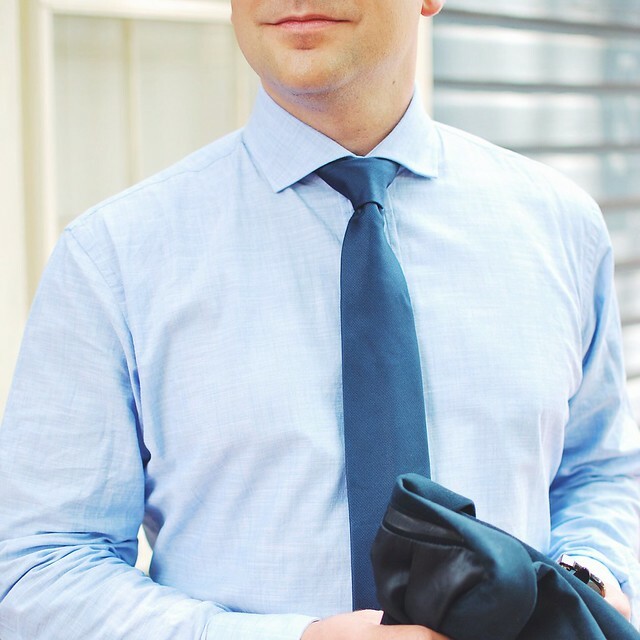 It all started with Steve's very first outfit photo shoot for Ledbury on Friday. I know, super exciting and I promise to fill you all in tomorrow when his outfit post goes live, but I've snuck in a sneak peek below. Then on Saturday we had a neighborhood block party to start off Summer. We love our neighbors and it's so much fun for us adults to get together (libations and tons of food were had) while the kids have fun playing with each other. And then we couldn't have asked for better pool weather on Sunday morning so we jump started our day with some sun and pool time. You better believe I enjoyed a virgin Pina Colada. One thing we did on Saturday, which was really out of the ordinary for us, was go to an open house of this house that we've kind of deemed our dream home. Well, I shouldn't say dream home but more like the potential to be our dream home. Let me just say for the record, we are NOT moving anytime soon. 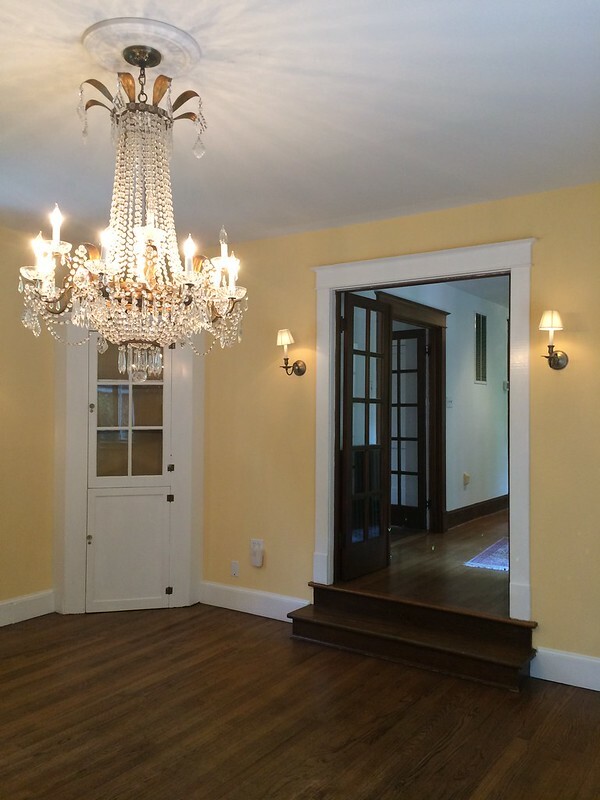 We just both are into real estate and look at listings once in a while just for fun and this one particular house caught our eye. I was really curious about it because the layout seemed so different than any other house we've seen (not much of an open floor plan but like I said before, SO much potential), so I convinced him to go to this open house. After seeing it in person, we love the house but have decided that a few factors have lessened it's dream home potential. Really, it's just too far away from the water for us. We're so used to being close to the water that we just can't give it up even for a home that could be a forever home. BUT I couldn't help but take some photos because the place was just too fabulous not too. And when I say fabulous, I mean the potential to be fabulous so keep an open mind when looking at the photos below and don't think I've gone crazy or something. A sneak peek at tomorrow's post! How stunning is this dining room? 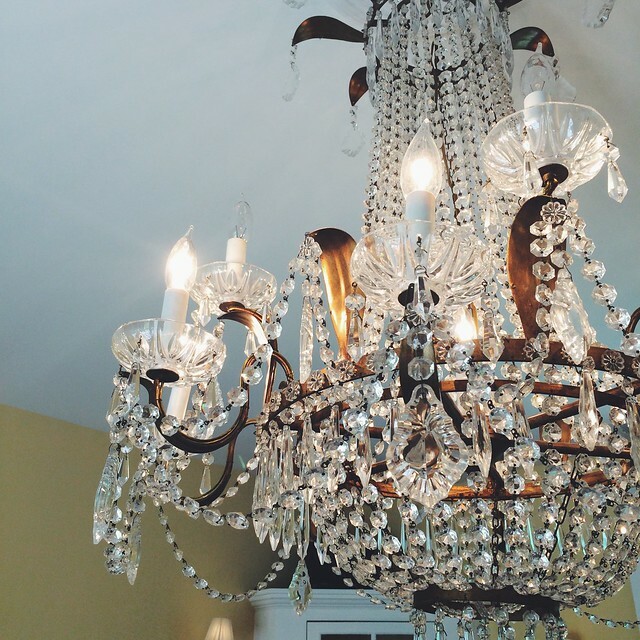 It's ALL about that chandelier. 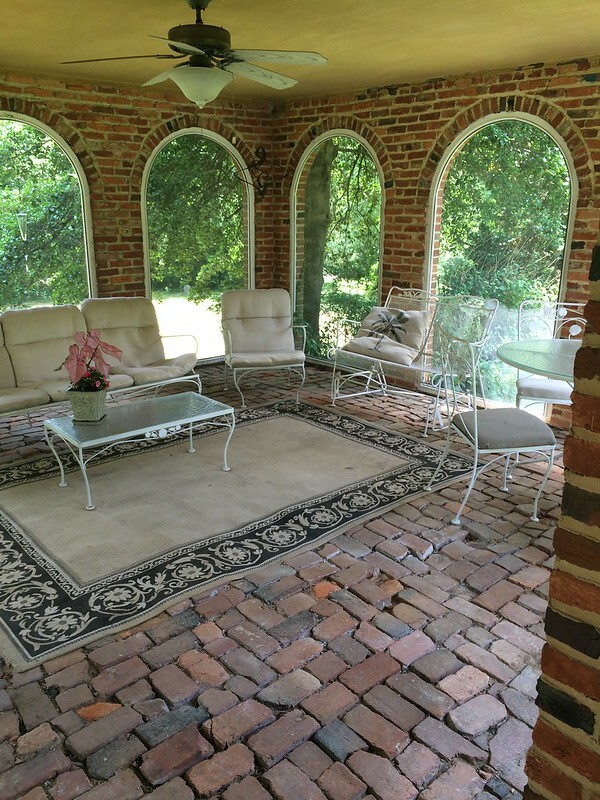 This brick screened-in patio was what initially caught my eye. It needs some work (okay, A LOT of work) but Steve and I kept envisioning how we would entertain in this space. 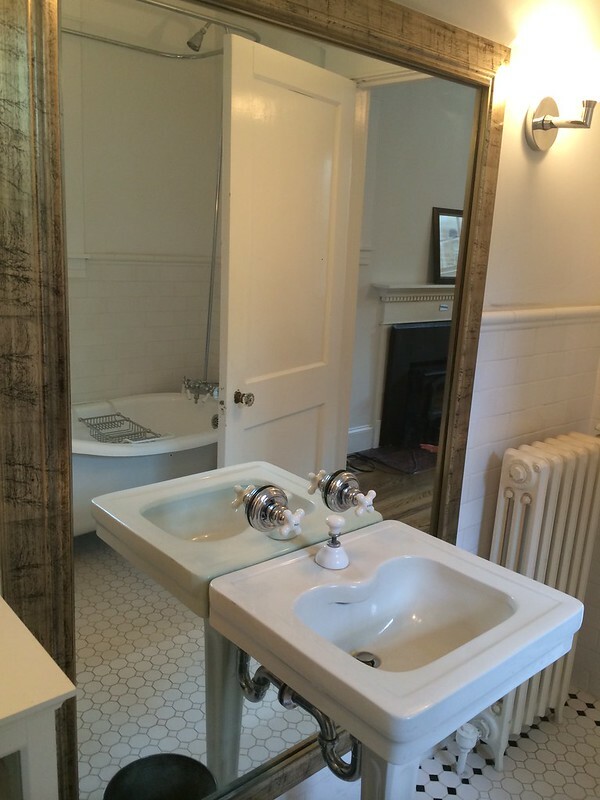 Love how the owners kept the feel of the 1930s in this bathroom, but updated it with modern touches. 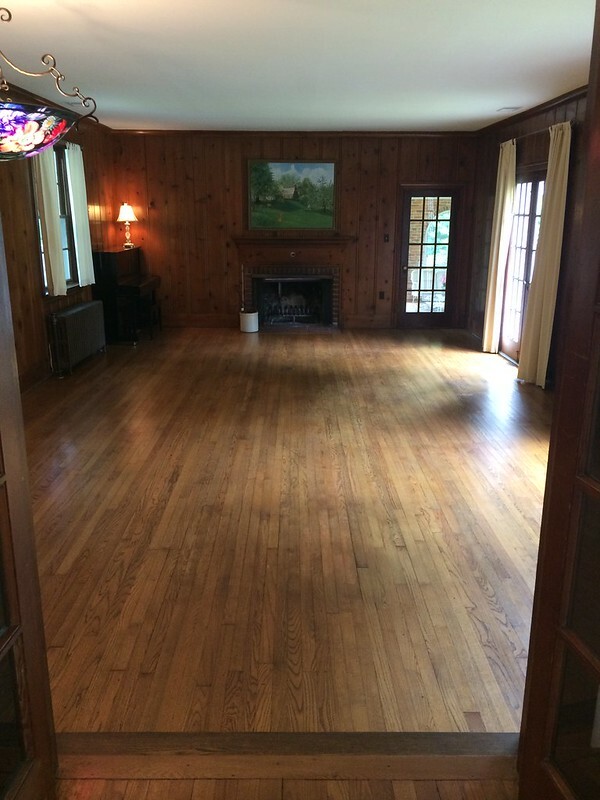 Yes, there's a TON of wood paneling in here, but just imagine how great this great room could be? And along the right-hand side are 3 sets of French doors. Yes, you can gasp. It's gorgeous and amazing. 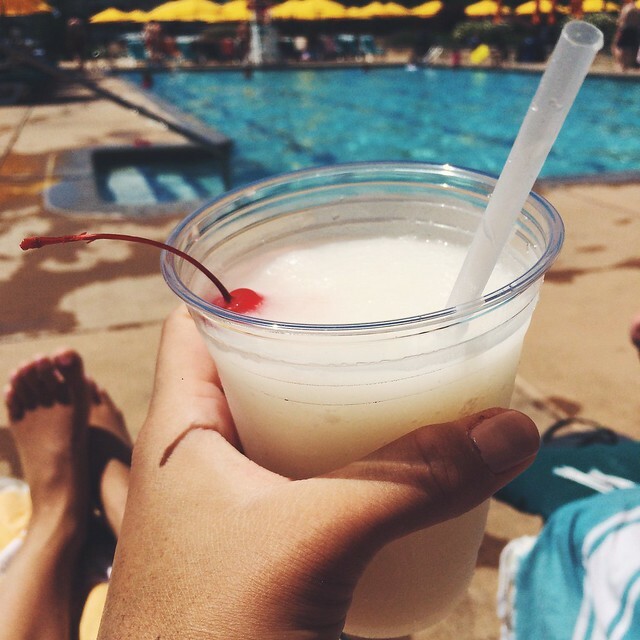 Sunday Funday at the pool with a virgin Pina Colada for this preggo lady. 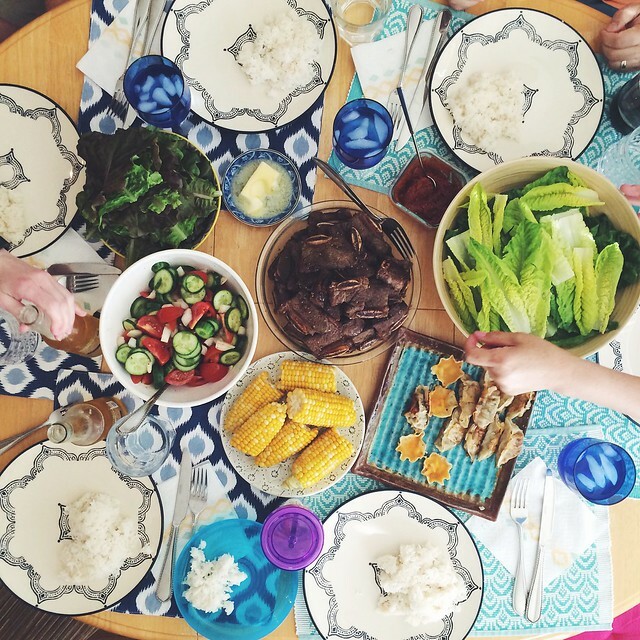 A really great Sunday family meal of Korean BBQ with some Summer-y sides added for good measure. What a beautiful home. I totally understand why you are attracted to it. It seems to have many pretty details, I love the outside space and that chandelier is just too pretty! Such a statement piece. That is why we take care of every aspect of the product packaging because we know that your packaging must leave a great impression on your customers. With our custom product packaging, you can print your logo and other product information to give a customized look to the packaging boxes.